With Twin Peaks set to begin filming next year, why not revisit what is perhaps the most iconic set-piece of the show: Mount Si? Featured frequently and prominently throughout the show’s two series span, the mountain is perhaps most commonly seen behind the “Welcome to Twin Peaks” sign. Although it gained further prominence through the show’s liberal use of its outline, Mount Si had, for many years prior been a favourite amidst hikers in the Puget Sound area. This is partially because of its easy access (only about 45 minutes drive from downtown Seattle) but also because of the scenic lookout onto Snoqualmie Valley, Puget Sound and West Defiance Ridge from its summit. The mountain is located in the Snoqualmie Region of the Northern Cascades in Washington State (often simply referred to as “The Cascades” by Washingtonians). The Cascades themselves extend all the way from British Columbia, down to Northern California, yet the highest peak is Mount Rainier – also in Washington. 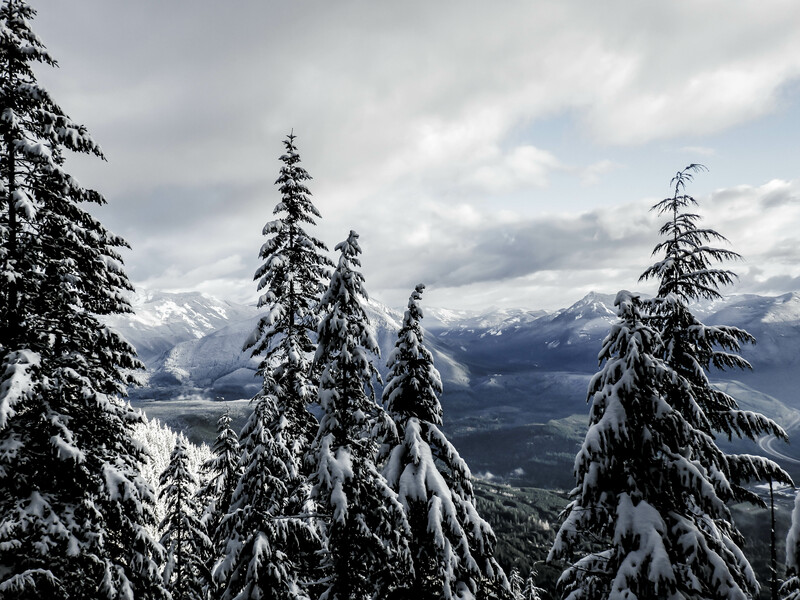 As for Mount Si, covered by snow in the midwinter months or bathed in sunlight in spring and summer, the panoramic view, and the hike itself, are exceptionally beautiful. The journey up begins from either Little Si or the Mount Si parking lot. From there it is a 4-mile hike and an elevation gain of 3,500 feet to the summit ridge. Finally, you will scramble up the “haystack”, the exposed north of the summit itself. The “old trail” is considered slightly more scenic than its newer alternative, but it also has a “downside” (pun intended) of being considerably steeper. As a result, fewer people tend to come this way (fewer being a relative term, here). To take the Old Trail, park your car at Little Si trailhead (details below), walk the “Garden Loop” and turn when you see the sign for “Mount Si Old Trail”. After that, it’s up. Way up! Near the summit, you will connect with the new trail. This is an important junction to take note of as you will need to turn right here (on your return trip) to reach the same parking lot. (Editor’s note: don’t make our same mistake). If you do make the ascent in winter, be sure to come prepared with (at the very least) shoes with a good grip, otherwise the icy snow – often made even more slippery by the high levels of traffic – can become a formidable opponent. The local Snoqualmie tribe believes the mountain itself is the dead body of Snoqualm – the moon – based on a legend of how he fell to his death pursuing Fox, who had stolen the sun from him. When you summit the mountain you can actually see a face like Snoqualm’s, on the rocks. To get to Mount Si you’ll follow I-90 (from Seattle) until Exit 32. Turn onto 436th Avenue SE and drive .6 miles, at which point you’ll turn left onto SE North Bend Way. Drive .3 miles and take the first right onto SE Mount Si Road. After about a half mile, you’ll see a parking lot on your left marked “Little Si”. This is the entrance for the “Old Trail”. You can also continue up the road 1.8 miles for the “Mount Si” trailhead, which is where you will begin if you want to head out on the the new trail. The hike roundtrip and via the old trail is 7.2 miles and should take you anywhere from 3-7 hours in total. So see you at the top, and remember to look out for Snoqualm’s face! If you’re interested in other hikes in the area, stay tuned! We’ll have information on several others around Puget Sound, the Cascades and the Olympics, as part of our ongoing segment on the Pacific Northwest. For now, try checking out Mailbox Peak, just up the road from Mount Si.